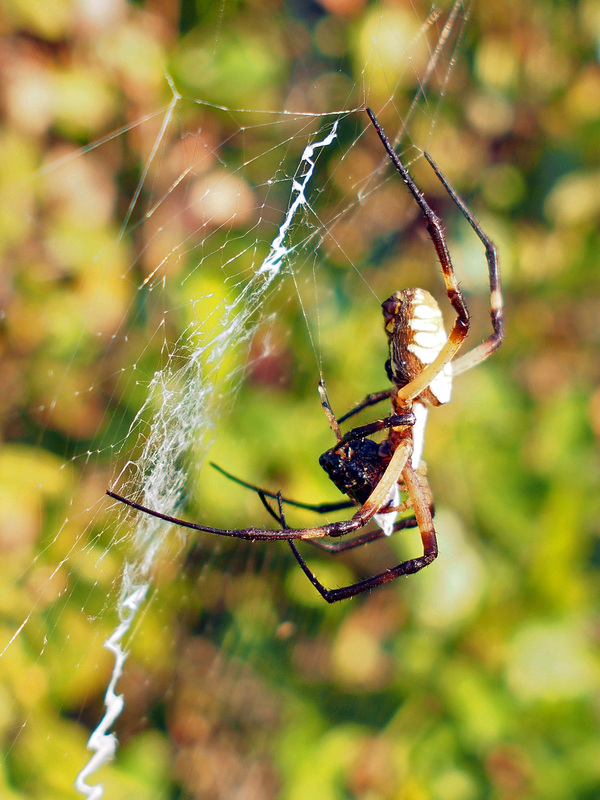 Yesterday while I was working in the yard, I saw this industrious garden spider working too. It seemed to be wrapping up it’s dinner while a smaller spider worked in the background. 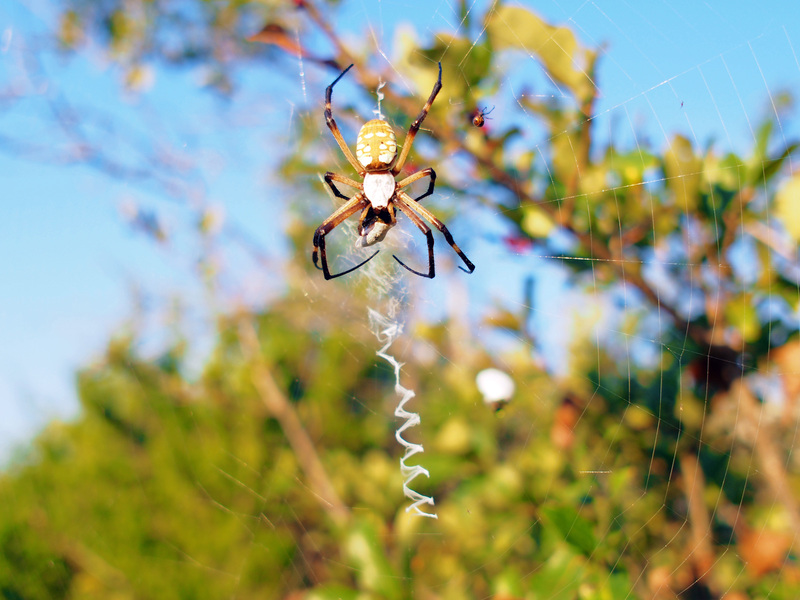 Garden spider wrapping up it’s dinner. 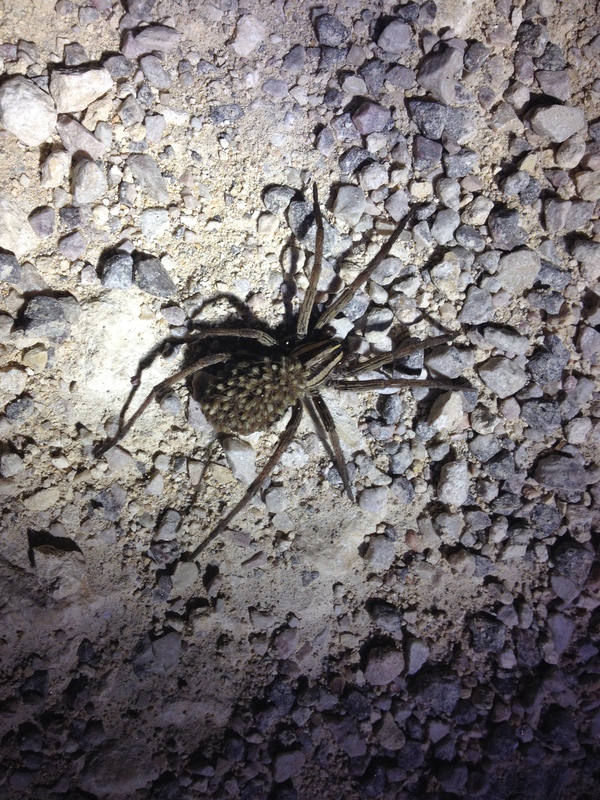 Earlier in the week we saw this spider walking across the road at night. Look at it’s back.